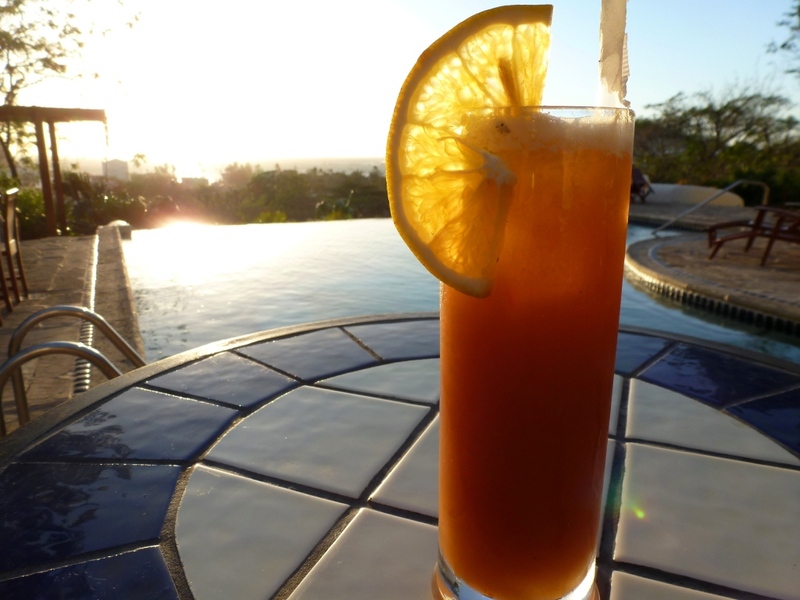 Although Americans tend to associate Nicaragua with civil war more than fine spirits, this now-peaceful country produces one of the world’s greatest rums: Flor de Caña. This company dates back to 1890, but it didn’t start producing rum called Flor de Caña until 1937. The revolutionary years in the 1980’s turned out to be a blessing in disguise. The Sandinistas didn’t have the best reputation for protecting private property rights, to put it charitably, so to safeguard their stocks of rum, Flor de Caña sent many of their best barrels to neighboring countries. By the time Flor de Caña could finally repatriate their spirits without fear they would be confiscated by the government, they had their hands on some of the largest and finest stocks of aged rum in the world. 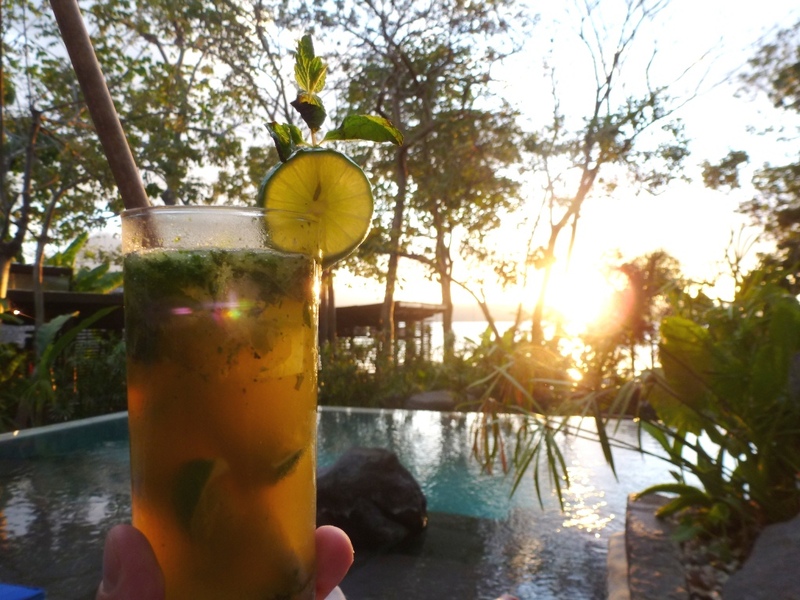 While staying on an island in idyllic Lake Nicaragua, I ordered a glass of the 18-year-old Flor de Caña. Seeing my interest in the rum (or perhaps noticing my notebook), the bartender asked if I would like to sample range of different ages. Why yes, yes I would. The couple from San Francisco next to me certainly had no objection, and we began our impromptu tasting. 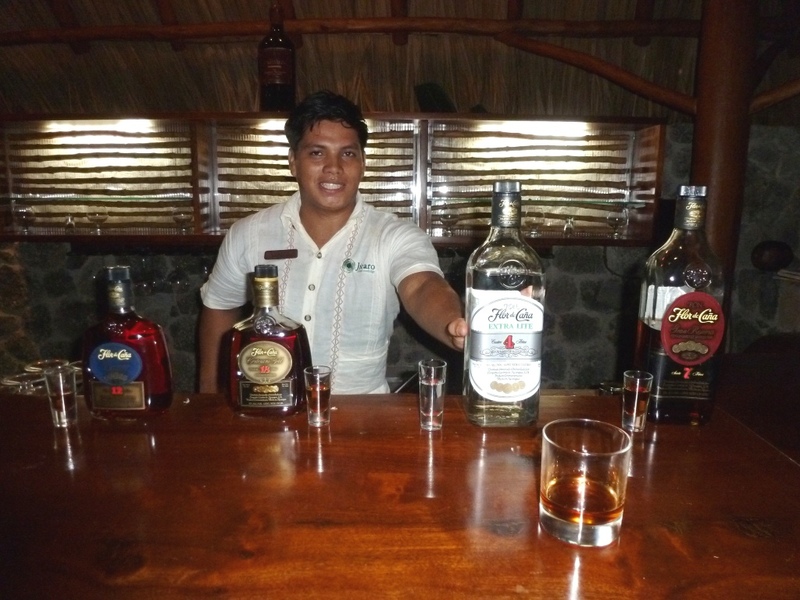 Flor de Caña 4-Year Extra Lite: This clear rum has a lower alcohol content (35% instead of 40%), making it easy to sip on its own (though Flor de Caña recommends using it in a Macuá, the delicious Nicaraguan national cocktail of rum, guava juice, orange juice and lemon juice). I liked its fruity aroma and surprisingly dry, smooth flavor. Flor de Caña 7-Year Grand Reserve: This caramel-colored, barrel-aged rum has more of a vanilla aroma, complemented by some additional light oak on the palate. Again, enjoyable on its own, and as the Flor de Caña website notes, it makes a mean mojito (thoroughness demanded I try one). Flor de Caña 12-Year Centenario: The most famous Flor de Caña rum, and the most readily available in the United States, the 12-year is worth seeking out. It smelled of oranges, vanilla and caramel, and its taste reminded me of a fine Cognac: spicy oranges, ripe bananas and a finish of vanilla. Smooth, but big and spicy. Flor de Caña 18-Year Centenario Gold: This gorgeous rum sucked me in with aromas of vanilla cake and crème brûlée and sealed the deal with flavors of vanilla, oak and orange peel. Very rich, with a finish that went on and on. I tottered back to my room a very happy blogger. I’ve been a little off my usual posting schedule this week, while I’ve been investigating the natural and cultural treasures of Nicaragua. Currently, I’m overlooking a little boulder-strewn horizon pool at Jicaro Lodge, a gorgeous eco-lodge on its own islet in Lake Nicaragua. 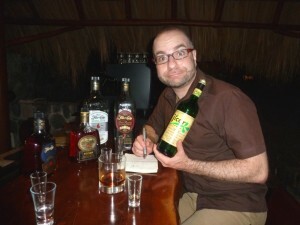 I dutifully sampled the local “Jicor“ jicaro liqueur, distilled from jicaro pulp and mixed with sugar and water (jicaro trees produce hard, coconut-like fruits). It was not particularly to my taste, with a flavor of medicinal bananas. In the lodge’s El Jicaro cocktail, a mix of Jicor, club soda, sugar syrup, grama tea and lime served in a jicaro nut with a bamboo straw, it overpowered absolutely everything. In the unlikely event you enjoy medicinal bananas and also come across a bottle of jicaro liqueur, by all means, go for it. But I think I’ll keep to the superb local Flor de Caña rum instead.